Get a summary of all PTO from all employees. 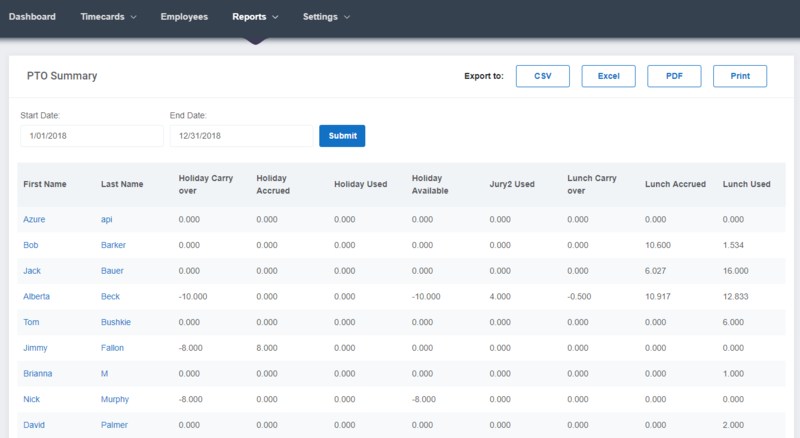 You can also view individual PTO summaries by clicking on employee names. To view this report go to Reports --> PTO Summary. Here you can see PTO used. If you are using our PTO Accrual Feature (where you add PTO to a bank) you can then see the Carry Over, Accrued, Used and Available. You can export this summary view or you can click into an individual name to get an individual summary.